Amrah glass & Aluminium offers mirror installation service in all over Sydney either you want your mirror to be installed in Bathroom or want place it on a wall our mirror installer expert knows very well how to install mirror with better technique.Our company aim is to provide high quality standard services to our customer at better prices therefore we have large number of delightful customer database.Amrah safety glass mirror 24 hours available for broken mirror repair and replacement anywhere in Sydney. Our mobile service provide a fast installing service for polish safety mirror installation, Beveled mirror installations , Install Bathroom mirror, Bedroom mirror Installation, Built-in- wardrobes mirror installation, gym mirror installation & finally office mirror installation. Amrah glass have the special safety mirrors and even we have printed mirrors available which we install based on the customer choice, if you are looking for mirror installation services then simply call our expert now at 0468 497 928 then our installer will be at your place at immediate bases to fix your problem . Our mirror repairs Sydney is highly qualified and the most important they know well how to replace and repair any broken stuff there are many companies who claim they are best mirror repairs Sydney but we are in mirror repairs Sydney services since more than 10 years and we belief on our standard work and quality our mirror repairs Sydney team is well equipped with the latest technology tools, On your just one call our mirror repairs Sydney expert will reach to your house with fully well-equipped vehicle simply sit back with stress-free and see how they fix your problem on immediate bases. 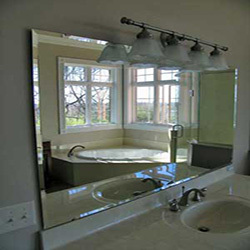 Our company prices is very affordable and under budget for everyone, there are many wall mirror replacement companies who offer related wall mirror repair, bathroom mirror repair, wardrobe mirror repair, but they will charge you much higher as well as don’t provide such quality work which they committed with you on the other Sydney our company and mirror repairs Sydney expert will provide high quality work according to your demand and until they don’t leave the work unless you are satisfied despite we have number of customer in all over Sydney whom we serve our services but our company mission is to provide quality mirror repair Sydney service within competitive price. If you are looking for mirror repairs Sydney or wall mirror replacement simply call our glazier Sydney expert now and let them fix your problem. We are celebrating our 10 years of company ceremony in the result, we are offering 20% discount to our entire Sydney customers. Don’t wait anymore call to our expert at this0468497928 and get it fix your broken mirror.